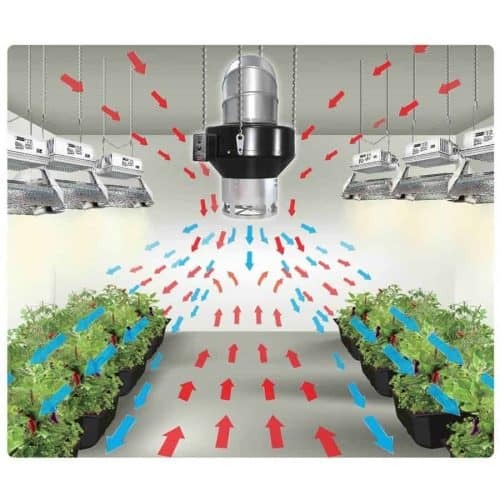 The V-Series fans are powered by an external rotor motor with a mixed-flow impeller. 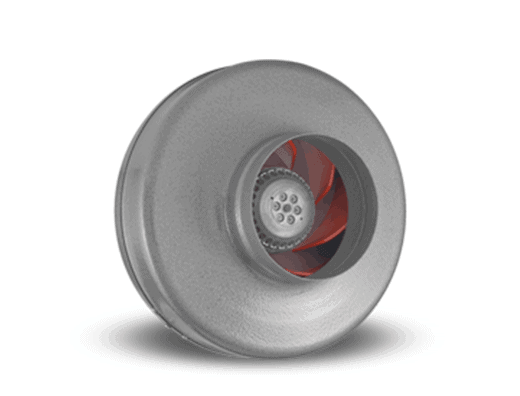 A mixed-flow impeller design is a cross between vane axial and centrifugal fans allowing for a higher static pressure (more air volume) than any other comparable impeller design of the same wheel diameter. Heavy gage steel casing with a hammertone powder coat finish, making it more sound absorbing and rustproof. High quality maintenance-free balanced motor, equipped with a mixed flow impeller, allowing an extremely quiet operation. Permanently lubricated maintenance-free ball bearing motor.